Not all products are available for sale in the U.S.
On behalf of the Mindray North American team, I would like to thank you for visiting our website. We hope you take the time to explore our comprehensive range of patient monitoring, anesthesia and ultrasound imaging devices and systems. We share with both our current and future customers a vision of “better healthcare for all”. Central to this vision is a dedication to developing innovative, best in class and affordable solutions that enhance clinical workflow, accurately monitor patient status and are easy to implement and maintain. These capabilities are important to us and critical to our customers who are continuously striving to improve staff satisfaction and productivity, positively impact the quality of care and patient outcomes, while also facing the constant burden of cost containment. Here at Mindray we understand these challenges and can assist you in achieving these goals with the ultimate benefit of making high-quality healthcare accessible to all. Originally founded as Datascope Corp. in 1964, our business is rooted in a deep foundation of knowledge, expertise and a unique understanding of healthcare delivery. As the world of patient care has evolved, so too have we. We pride ourselves on being in touch with our customers, their needs and their ultimate goal to deliver quality care in a safe, secure and affordable environment. When customers choose Mindray for their technology needs, a partnership emerges, the core of which is collaboration and commitment at every step. In closing, if you are a current customer we thank you for your partnership and trust and look forward to continued mutual success. To those considering Mindray as a future partner, on behalf of the entire Mindray North America organization, we welcome the opportunity to exceed your expectations as we accompany you along your journey of healthcare delivery. Mindray, founded in 1991, is a leading global developer, manufacturer, and supplier of medical devices whose mission is to deliver high-quality, richly featured medical products making healthcare more accessible and affordable around the world. Mindray provides solutions in three core businesses: Patient Monitoring and Life Support, Medical Imaging, and In-Vitro Diagnostics. With corporate headquarters located in Shenzhen, China, and 42 international subsidiaries with branch offices in 32 countries, Mindray has approximately 7,500 employees worldwide. Eight global R&D centers and an industry leading investment of 10% of annual revenue into research and development further demonstrates Mindray’s commitment to innovation and advancing technology in a global market. In 2008 Mindray acquired Datascope’s patient monitoring business which offered a wide range of patient monitors in the OR, emergency care, and critical care environments for over 50 years. With that acquisition, Mindray has become the third-largest player in the North American and global patient monitoring markets, and the third largest supplier of anesthesia systems as well. Another milestone was the 2013 acquisition of ultrasound technology leader Zonare Medical Systems, based in Silicon Valley, California, solely dedicated to ultrasound excellence through its next generation, software-based ZONE Sonography® Technology (ZST). This innovative technology provides the platform for the company’s Living Technology – a constantly evolving architecture to meet the changing imaging needs of the clinician. 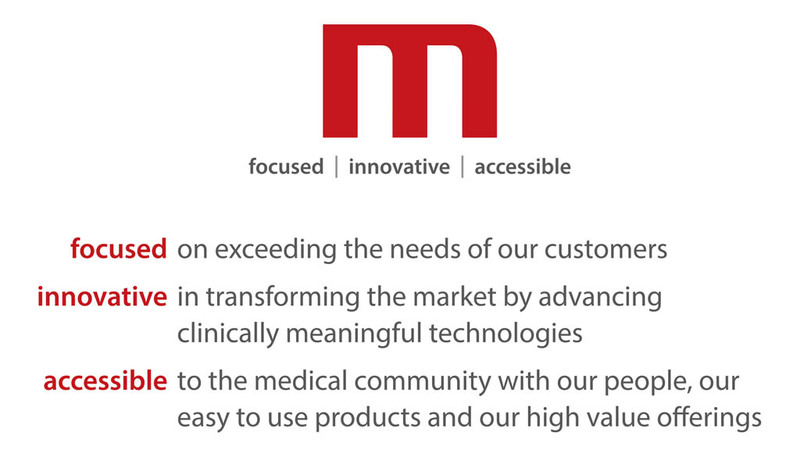 Today, Mindray products and services can be found in healthcare facilities in over 190 countries and regions. Quality is built into every aspect of Mindray’s solutions and influences everything the company does. Mindray follows the most stringent international and FDA manufacturing and quality control standards in each of its state-of-the art manufacturing facilities, ensuring efficiency and traceability throughout the entire process. 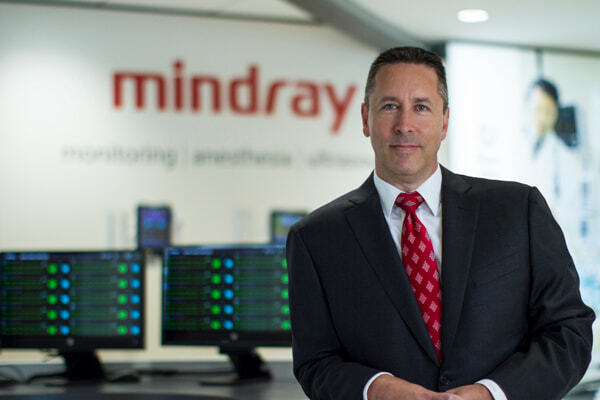 Mindray North America is headquartered in Mahwah, New Jersey, and has large field sales and support teams covering the United States, Canada and Puerto Rico. Clinical education specialists provide your staff with comprehensive, on-site product training and in-service. Our dedicated field service team and in-house technical support organization represent one of the largest direct service teams in the industry. Mindray is fully committed to enhancing patient care while protecting your investment. Mindray is a focused, innovative, and accessible provider of technologies and solutions for patient monitoring, anesthesia, and ultrasound. It is our mission to set the standard for all others to be measured. There are two engineering centers in North America. The Innovation Center, located in Silicon Valley, California, is focused on innovative ultrasound technologies including ZONE Sonography® Technology for premium and high end systems. Engineering in the New Jersey Corporate Headquarters is primarily focused on the user interface design and user experience for patient monitoring and anesthesia delivery systems. While improving the quality of patient care, we help reduce its cost by making advanced products more accessible to a broader global community, bringing healthcare within reach.